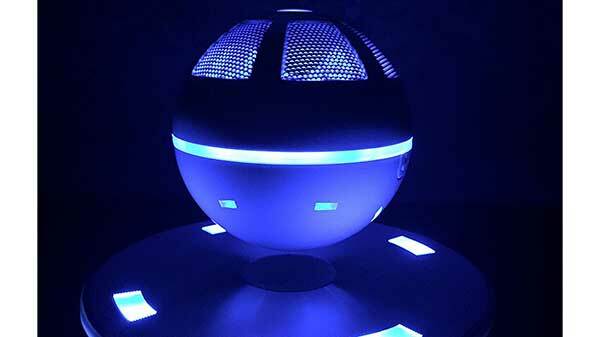 The Ice Orb hovering Bluetooth speaker is both wireless and portable. The magnetic base allows the speaker to hover 10mm from the base, and allows it to float in midair. The speaker has a sound guide cone that gives the sound a 3d effect. It can be used as a bluethooth speaker or used as a portable speaker without the base. If you need a gift for someone that likes to listen to music or audiobooks, then a speaker that floats is an awesome gift idea. 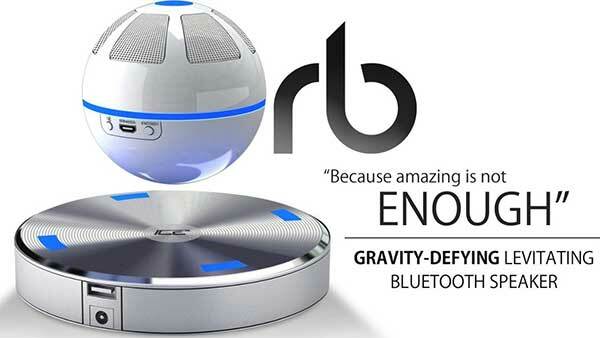 The ice Orb levitating speaker is an awesome present for men, women, or even kids. As far as floating speakers, it is my favorite one out there. The magnetic base allows the speaker to hover in the air without any wires attached. The circular orb plays music in 360 degrees, giving 3d sound effect. The Ice orb is more than just a high-quality levitating speaker, it is also a conversation piece and decoration. The orb also has a USB port integrated in to the device, so you’ll be able to charge your smartphone or other electronic device when you the base is connected to a power source. The ice orb is probably the coolest speaker ever!